Nine small granite islands and their surrounding reefs form the Similan Islands. Generally speaking, this is the best place in Thailand to go diving, with water temperatures between 27 and 29 degrees, lot's of aquatic life and many different types of dives suiting all level of divers. The East coast with its hard coral reefs and many fish is quite different than the West coast. There you will find boulders, caves, swimthroughs and huge fans, all formed because of its strong currents which have removed all the sand surrounding these rock formations. Even despite the coral bleaching disaster in 2010, corals here are still great to dive on. From out of Thailand, Phuket and Khao Lak, a limited amount of live-aboard trips and overnight trips can be booked. In general they run from October through May, but the best months are November through April, when visibility tend to be between 20 and 40 meter. Visit Khao Lak Hotels for more information about finding hotels in the area of Khao Lak. Sunrise Diving.PADI 5 star National Geographic Instructor Development Scuba Diving Center, Patong Beach, Phuket, Thailand. Sunrise Diving is 100% British owned and managed and can cater for all your scuba diving needs:PADI courses for Beginners.PADI courses for Professionals.Liveaboards.Day Trip Diving.Equipment Sales and Servicing.Local Scuba Diving. Dive the Phi Phi Islands with Phi Phi Diving. Daily trips around the best dive sites. PADI Dive courses start whenever you want! Phi Phi Diving offers day trips around Phi Phi and further afield to Shark Point, the King Cruiser Wreck and even to Hin Daeng. PADI courses can start any day. Phi Phi is a beautiful place to learn how to dive. With more than 10 years of experience, Similan Dive Center is the top service diving center located in beautiful Khao Lak. Our friendly and professional staff ensures your Thailand vacation is a truly memorable one. The Similan islands are known as one of the world's greatest scuba locations in the world with hundreds of divers visiting the islands every year. Every one of our trips is a scuba divers dream. We provide you with a personal service that will make your Scuba Diving trip with us your best one yet. 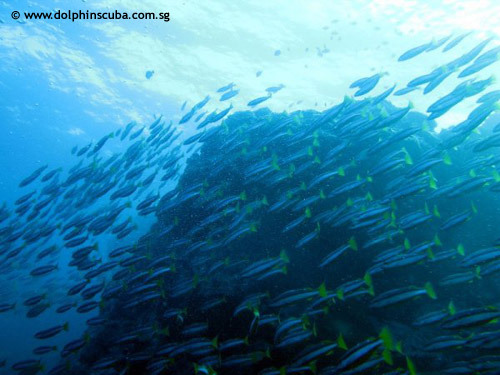 Similan Dive Center is a Padi and Mares dive center in the center of Khao Lak offering diving daytrips and liveaboards to the Similan islands, Koh Bon , Koh Tachai and Richelieu rock. Padi courses from beginner to professional. Similan Dive Center retail outlet has the biggest choice in diving and snorkeling equipment. Travel, Dive and enjoy yourself in Green and fresh world. We organize diving, Snorkeling and Adventure Trip in western coast of Thailand and Mergui archipelago of Myanmar. World Class Diving in Thailand and Burma. Liveaboard trips from 3 to 7 days. 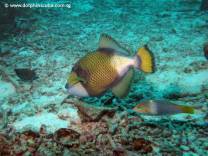 High quality dive center in Khao Lak, we provide Liveaboards to Similan Islands or Koh Phi Phi. Speed boat of Phnag Nga Province north of Phuket and all year around diving. Similan Islands National Park was established after a one-year exploration by the forestry department. The park is an archipelago consisting of nine islands named Ko Bon, Ko Bayu, Ko Similan, Ko Payu, Ko Miang (two adjoining islands), Ko Payan, Ko Payang, and Ko Huyong. Recently, the park was expanded to included two remote islands named Ko Bon and Ko Tachai. The Similans are situated 70 kilometres from Phang Nga town. "Similan" is a Yawi word which means "nine". Similan is one of the most famous diving sites in Thailand, and noted as one of the top ten dive destinations in the world according to the National Geographic Society. Similan is derived from the Malay sembilan, and means nine. Each of the Similan Islands has a number as well as a name. These are, running from north to south: Koh Ba Ngu (No. 9), Similan (No. 8), Payu (No. 7), Miang (No. 4, No. 5 and, in some opinion, No. 6), Payan (No. 3), Payang (No. 2), and Hu Yong (No. 1). Hin Pousar, or "Elephant Head Rock", is alternatively designated No. 6 by some.